The event will run from 10.30am to 4.00 pm and include two games of first-rate polo. In the stylish VIP Marquee the renowned Goose Café will serve canapés on arrival, a cocktail style lunch and premium beverages. Situated on the edge of the field, guests in the VIP marquee will witness the excitement and exhilaration of a polo game, whilst enjoying Busselton’s picturesque surroundings. All spectators can participate in the traditional divot stomps between each game, as well as the dash for the ladies and gents, and enjoy the half time humorous game of “postie polo” [where postman motorcycles are used]. Guests can choose to enjoy a day of luxury and comfort by purchasing tickets into the VIP Marquee or they are welcome to pack a picnic, put up an umbrella and simply enjoy the match. The general admission area is free to the public and will have its own facilities beneath the trees on the foreshore. Food and drink from quality outlets will also be available on the day. 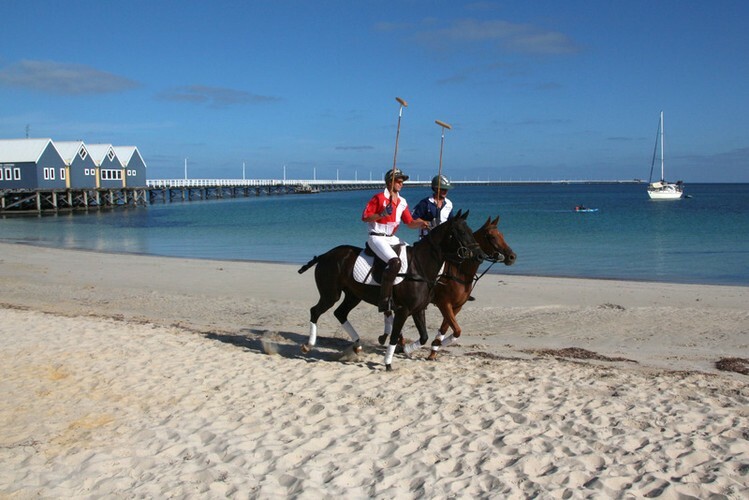 “The Busselton Foreshore Polo will take place during the school holidays providing locals and visitors with a fabulous, fun and different activity that the whole family can enjoy,” says Nick Bowen from the Swan Valley Polo Club.